Guests staying at Distinction Dunedin Hotel can take advantage of complimentary access to the on-site Club Gym at Air Fitness, located on level three of the luxury hotel. The Club Gym is open 24 hours, 7 days a week, perfect for business travellers and those holiday makers with busy schedules. Air Fitness is Dunedin's premium health and fitness club. Offering a 600 square metres facility, the Air Fitness Club has plenty of room to move. Choose from a wide range of equipment and great facilities, in a clean and private environment. Air Fitness also offers a range of other services including physiotherapy, personal training, group fitness classes, massage and aquatherapy. Please visit the Air Fitness website for more information and to book any of these services. Please note these additional services are not complimentary for hotel guests. 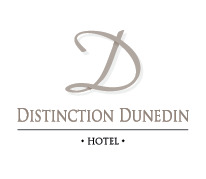 Book your stay at Distinction Dunedin Hotel which includes complimentary access to the Air Fitness Club Gym during your stay.